(Portland, Ore., February 20, 2019)—In reply briefs filed yesterday with the United States Court of Appeals for the Fifth Circuit in the case Brackeen v. Bernhardt, the United States and defendant tribal nations reaffirm the constitutionality of the Indian Child Welfare Act (ICWA). The briefs also underscore why ICWA’s protections continue to be vital for Native children and families. Striking down ICWA would not only be wrong as a matter of law; it also would have devastating real-world effects by harming Native children and undermining the ability of child welfare agencies and courts to serve their best interest. 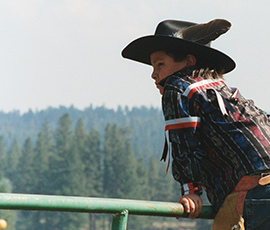 Evidence shows that ICWA’s framework achieves better outcomes for children. National Native organizations stand with tribal nations and non-tribal ICWA allies to take action to protect ICWA and end the unnecessary removal of Native children from their families, tribes, and communities. Read more about the Brackeen v. Bernhardt (formerly Zinke) case.